The nut drivers in this 7 piece metric set feature colour-coded handles that make identifying the needed size quicker and easier. Made in Canada and backed by Gray Tools worry-free lifetime warranty. Contains Sizes: 5, 6, 7, 8, 9, 10, 11mm. Color-coded handles make identifying the needed size quicker and easier. Although this 4-piece set of nut drivers was designed for the pros, it's also perfect for home improvement DIYers: made with durable chrome-vanadium steel and featuring a deep hexagon socket for sure grip, these nut drivers are ideal for easily driving and removing deep-seated hex nuts or bolts. The stubby combination wrenches in this 11 piece metric wrench set are precision broached for a tight and secure fit. The jewellery-like finish provides outstanding corrosion resistance as a result of our proprietary in-house plating process. All Gray combination wrenches are made from premium tool steel for maximum durability. Made in Canada and backed by Gray Tools worry-free lifetime warranty. 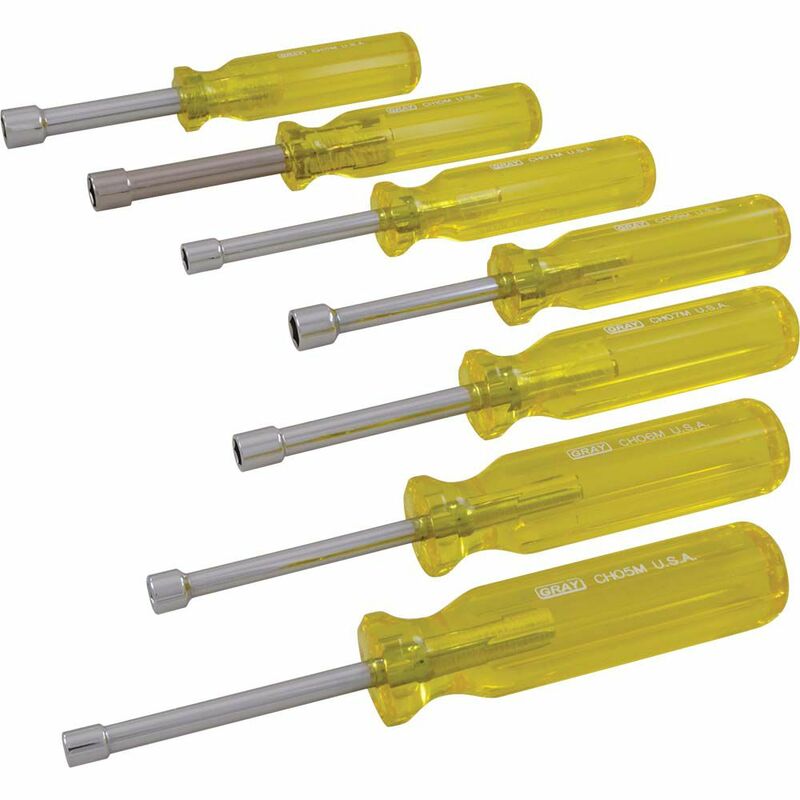 7 Piece Metric Nut Driver Set The nut drivers in this 7 piece metric set feature colour-coded handles that make identifying the needed size quicker and easier. Made in Canada and backed by Gray Tools worry-free lifetime warranty.